Dr Michael Murphy is a (Consultation Liaison) Psychiatrist at the Prince of Wales hospital and Orange Health Service. He is also a Conjoint Lecturer and PhD candidate at UNSW completing research into the use of internet-delivered cognitive behavioural therapy (iCBT) in the treatment of depression and/or anxiety in cancer patients. He has completed a randomised controlled trial (RCT) evaluating iCBT in early-stage cancer and cancer survivors and a pre-post pilot trial looking at iCBT in advanced stage cancer. His research is undertaken at the Clinical Research Unit for Anxiety and Depression (CRUfAD), which is a joint venture of St. Vincent's hospital and the School of Psychiatry. He held a NSW Institute of Psychiatry Research Fellowship in 2016. 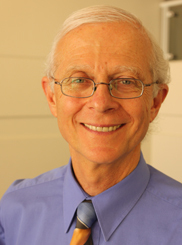 Professor Henry Brodaty (MB BS, MD, DSc, FRACP, FRANZCP, FAHMS) is a researcher, clinician, policy advisor and strong advocate for people with dementia and their carers. At UNSW Sydney, he is Scientia Professor of Ageing and Mental Health, Montefiore Chair of Health Brain Ageing, Co-Director of the Centre for Healthy Brain Ageing, and Director, Dementia Centre for Research Collaboration. As well as being a prolific researcher with over 500 publications in refereed journals, he is a senior psychogeriatrician and Head of the Memory Clinic at Prince of Wales Hospital in Sydney. Professor Carmelle Peisah is an old age psychiatrist, Conjoint Professor UNSW and Clinical Associate Professor Sydney University. She currently works as a visiting psychiatrist to a large nursing home in Sydney and as a Consultation Liaison Psychiatrist at Westmead Hospital. She has long-been interested in GP education in dementia; with particular expertise in de-prescribing and non-pharmacological treatments for behavioural and psychological symptoms in dementia, ethics, capacity, family conflict and end of life-care in dementia. Dr Julia Lappin (MBChB, MRCPsych, PhD, FRANZCP) is a Consultant Psychiatrist at the Bondi Junction Early Psychosis Program, South Eastern Sydney Local Health District, where she works as part of multidisciplinary team offering holistic interventions into mental and physical health in youth with severe mental illness. Julia is a Senior Lecturer at University of New South Wales in the School of Psychiatry. She completed her specialist training in Psychiatry at the Maudsley Hospital, London and conducted her PhD into outcomes following first psychotic illness at the Institute of Psychiatry, London. Julia’s research interests include improving outcomes in severe mental illness, particularly in psychotic illness. She also specialises in the early recognition and treatment of common physical health and drug and alcohol use comorbidities in severe mental illness which contribute to the reduced life expectancy observed in this population. 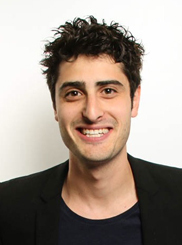 Dr Simon Rosenbaum is a Senior Research Fellow in the School of Psychiatry, UNSW Sydney and the Black Dog Institute. He currently holds both a UNSW Scientia and an NHMRC Fellowship. Simon’s research looks at the impact of physical activity on symptoms of mental disorders and the implementation of exercise as a component of standard care within mental health settings. 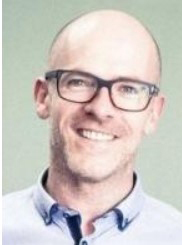 Simon has worked with a variety of groups including veterans, emergency service workers and refugees, and currently serves on the national board of Exercise and Sports Science Australia. 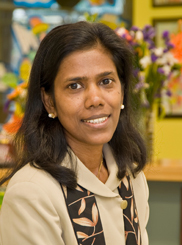 Professor Valsa Eapen, an academic Child and Adolescent Psychiatrist for over 20 years, has extensive clinical and research experience in childhood psychiatric disorders with a particular focus on neurodevelopmental disorders. Eapen is the Chair of Infant, Child and Adolescent Psychiatry at UNSW; Head of the Academic Unit of Child Psychiatry, SWSLHD; Stream leader, “Early Life Determinants of Health (ELDOH)” Clinical Academic Group within the NHMRC accredited AHRTC, the Sydney Partnership for Health Education Research and Enterprise (SPHERE); Director, Program 1, Autism Cooperative Research Centre (CRC); Director, BestSTART-SW (System Transformation and Research Translation) – South-West Sydney Child Health Academic Unit. She has been part of major research collaborations involving a total of $35,615,550 in competitive research funding in the last 5 years including NHMRC, ARC, CRC, Government, and philanthropic grants. She has a career total of 6 books, 27 book chapters, over 250 publications and 135 national/international conference presentations. Her book “Where There is No Child Psychiatrist” (with a free e-book by Royal College of Psychiatrists, UK), has been used internationally to up-skill professionals on child mental health problems particularly in the developing countries and she has contributed to the MindEd UK program, a free educational resource on young people’s mental health. Scientia Professor Philip Mitchell is an international authority in the fields of bipolar disorder and depression, with his major achievements spanning the breadth of genetics, phenomenology, treatment and epidemiology of these conditions. He has demonstrated specific neuroimaging, genetic, clinical and neuropsychological differences in young people at risk to bipolar disorder; identified distinguishing clinical characteristics of bipolar depression; and published major national epidemiological reports on bipolar disorder. Mitchell’s research achievements have been recognised nationally and internationally. 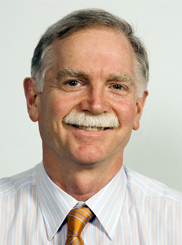 In 2013, Mitchell was awarded the RANZCP College Citation for exceptional service to psychiatry. In 2015 was elected Fellow of the Academy of Social Sciences in Australia, and in 2017 he was elected Fellow of the Academy of Health and Medical Sciences. Prof Mitchell has an exceptional research record, having published 470 peer-reviewed articles, four edited books and 53 book chapters. His publications have included articles in major multi-disciplinary journals such as The Lancet and Nature Communications. Mitchell’s international profile is attested to by his frequent invitations to speak at major scientific meetings. In particular, he gave a plenary symposium address to the World Congress of Psychiatric Genetics, and has recently been invited to present to the American Psychiatric Association annual meeting in 2017. 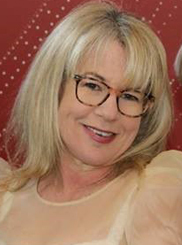 Professor Kay Wilhelm AM MBBS (UNSW); MD (UNSW); FRANZCP Clinical Lead, Consultation Liaison Psychiatry, St Vincent’s Hospital; Prof of Psychiatry Uni of Notre Dame Sydney; Conjoint Prof UNSW Psychiatry. 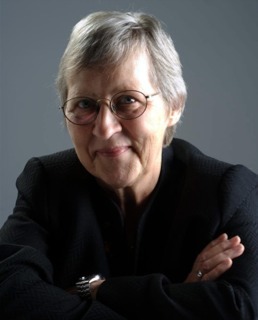 She has been author/co-author of over 250 papers, book chapters, workbooks and manuals. She wrote much of the material on the Black Dog Institute website in her former role as Head of GP education. Her interests are depression, deliberate self-harm, gender differences, smoking cessation, brief interventions to improve wellbeing in context of medical illness and translational mental health research in the inner city. At St Vincent’s, she has worked collaboratively with medical teams, with special interest in the Intensive Care Unit, the Heart/Lung Transplant Program and the Diabetes Service. 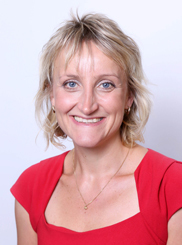 She has been involved in teaching at undergraduate and postgraduate level throughout her career and has devised teaching material on depression, suicidality, difficult clinical situations, interviewing skills, and maintaining wellbeing.